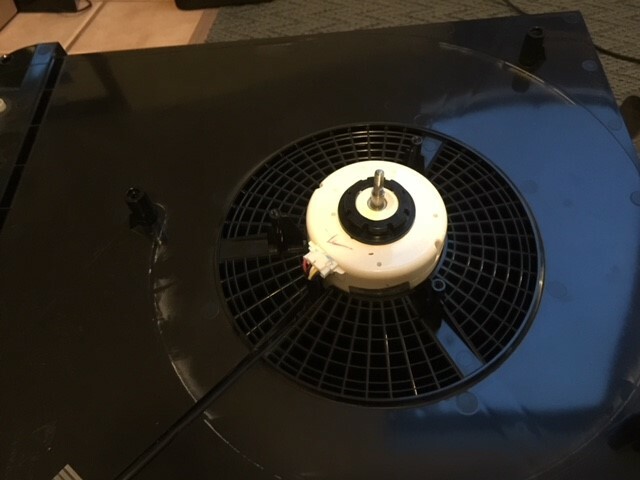 Register Log In Home Forums Consumer Electronics Noisy HEPA Filter Motor - Which Lube? This motor sounds fine at higher speeds (air noise exceeds motor noise), but at lower speeds this thing used to be whisper quiet. It continues to operate well, even at low speeds, but sounds very noisy at lower speeds. I tried a couple of drops on either side of the motor shaft, but it did jack squat to the noise. Any suggestions? 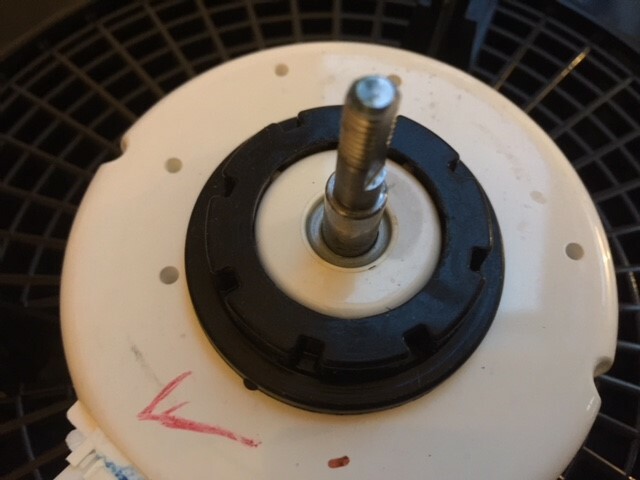 I find that most of my filters fans/motors get noisy and I've never been able to figure out how to lubricate them to get rid of the noise. I had to toss an older one, because its flow rate was so low for how much current it was drawing - even with the filter removed! I tried lubricating it and it made now difference. Mobil 0w-40. It will fix anything. And I'm not talking about the viscosity of the oil. Having a good night, are we? 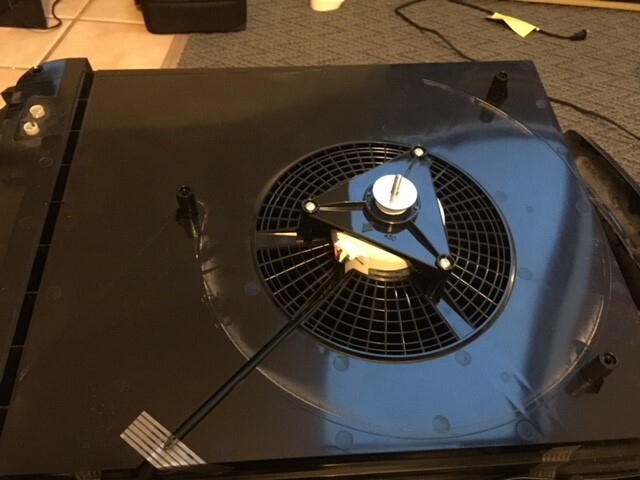 That's what I use in my fans and it works well. I'm not familiar with these machines, is it just the small fan and a filter? Can you disassemble the motor any more than that? Can you run the motor with the squirrel cage removed? Is there dust in the blades? It sounds more like a balance/vibration noise than a motor noise. When the motors go bad I would expect it to make more of a "shhhhhhh" noise. If it's a motor with sleeve bearings there is probably not much hope. You can try and lube it but it will not work long term. Possibly a replacement motor can be installed. It's likely to be a shaded pole motor. Maybe some canned compressed air will blow out any dust. The previous comment about dust build up is true. I take it this unit has no prefilter. Maybe one could be added? The motor and centrifugal blower assembly are downstream of a screen pre-filter, HEPA filter and charcoal filter. I can't imagine a motor that has better filtration. I cannot remove the electrical connector. With a pair of needle-nosed pliers, the connector would not budge. I can't figure out how to dismantle the motor any further without risking damage. I'll have to research it further. Here's another video, this time showing the motor running without any attachments. Without the noise of the fan you can really here the motor whine. I cycled through the speeds, leaving it on "Turbo" at the end. I did not change the speed after switching it to "Turbo" - you'll notice that the hum/whine at max speed is cyclic. This thing has "Plasma wave technology". I'm not sure what that means, but it appears to have something to do with the two prongs you can see at the top left of the housing. 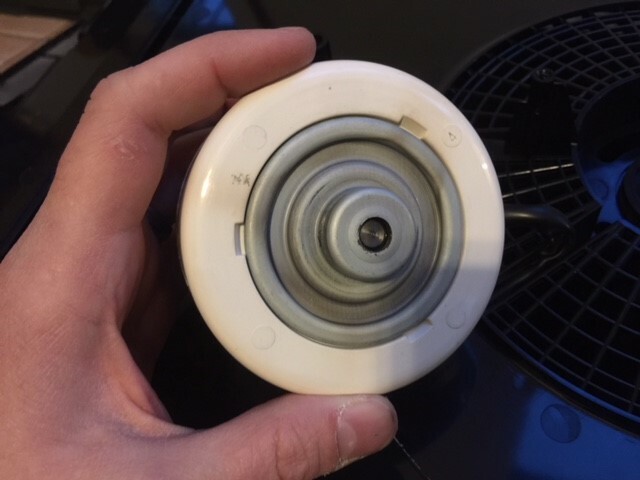 There was no appreciable buildup and it doesn't connect to anything, so I'm not sure what its purpose is - maybe to "ionize" the air? Don't mind the sound of mouth-breathing (and shaky camera) --> my two-and-a-half-year-old was hanging onto me while I recorded. I'm running the motor, as seen in the video, to see if I can get the 3-in-1 to distribute down and maybe quiet things down. I've been running it on "Turbo" for 5+ minutes and it sounds the same, so far as I can tell. No luck - sounds the same as it ever did. The motor was getting hot enough that it was uncomfortable to touch for more than 10-20 seconds, so I reassembled and have been running it on low essentially since I last posted. It looks as if the stator housing can be split; however, it may take a lot of brute force that could ruin the motor. I searched for the motor by part number and nothing came up. Kinda hate that nearly every filter I�ve had was trashed due to substantially reduced motor function. With that said, the Honeywell HEPA filter we keep in our room (Model 50250-S) has performed flawlessly over the past few years. I have even had to change out the filter! I clean the pre-filter and vacuum (HEPA vacuum with washable filters) quarterly (+/-) and it pumps out air seemingly like it did on day one! In photo 5, drilling a small hole into that metal can surrounding the shaft would allow you to get more oil inside to saturate the wick. It must be drilled so that it points up upon reassembly to prevent the oil from running out. Same with the other bushing. that sounds like a failing sealed ball bearing. you might be able to replace them cheaply. i had one fail in a similar filter and it was making an increasingly loud hissing noise that progressed to grinding/crunching. called up motion industries with the number and got some high quality replacements for around $5 each. i pressed them with a vice and sockets. I have no idea how to figure out which bearings are installed, let alone how to find a replacement. If you can lead me to an actual replacement (for that cheap) I�ll be forever in your debt! At $5 each, the new bearings would likely pay for themselves in energy savings, considering this thing runs at full tilt at least 8 hrs per day. 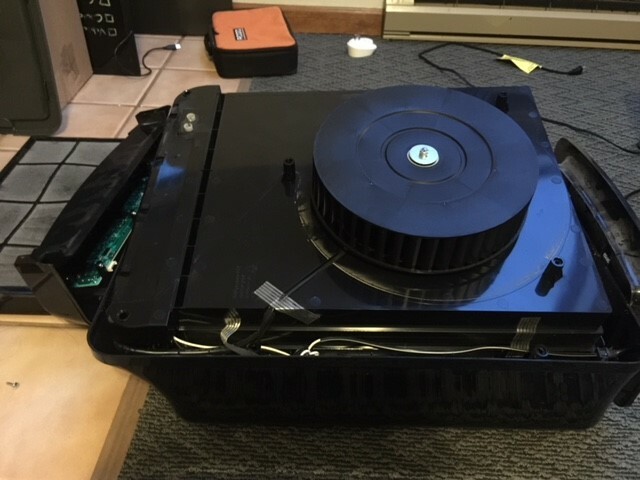 Problem: I�d have to figure out how to break open the stator housing. I don�t see an easy way t disassemble it. I, worried that trying to disassemble will result in a trashed motor. I�d rather a noisy motor than zero motors. Drill g a hole might be a feasible alternative, as well. I�ll keep that in mind if it gets worse. Flow seems close to normal, so I�ll hold off on anything more invasive. I would just get a new motor. Even if you can get more oil into it, the bearings probably sleeve, are worn out and will get worse as time goes by. 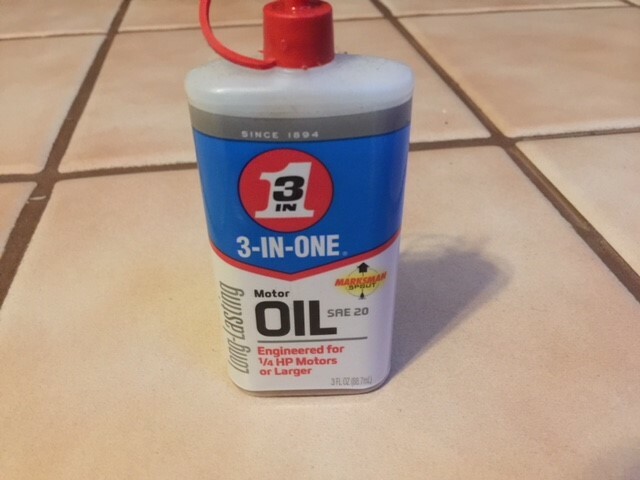 If it's getting hot then the 3in1 oil may not be up to the task and the 0w40 oil is a better idea. you might get lucky and find that it is some standard frame size. without having it in hand its hard to say if it is feasible to take it apart. it looks like typical disposable junk from here. too bad you are not near dayton. i bet m&r electric could match up something. might look for a place like them in your area. but a good quality motor probably costs more than the whole unit. Last edited by kc8adu; 04/18/18 05:33 PM.